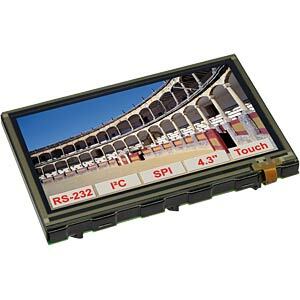 regardless of whether it is used for mobile phones, cameras, navigation systems or industrial applications. The colour screen accentuates important process parameters or exceeded limit values. 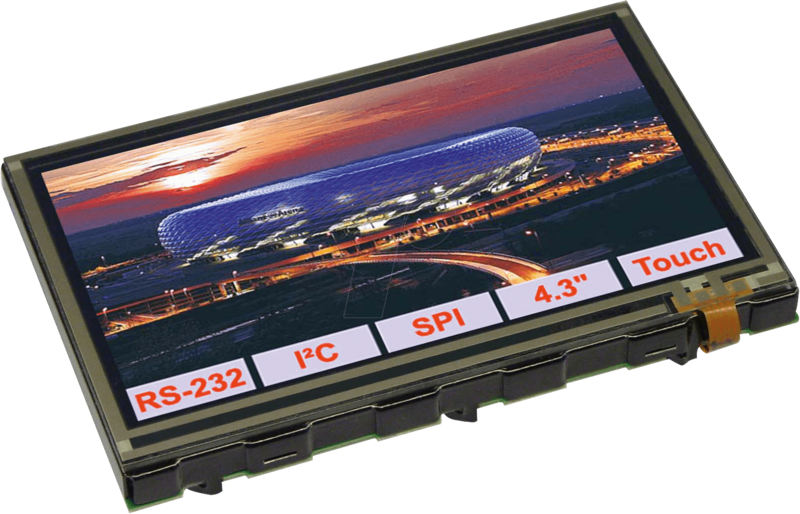 What's more, the colour TFT display emphasises the value and the image of your application. The unmatched brilliance and excellent contrast impress at first glance. 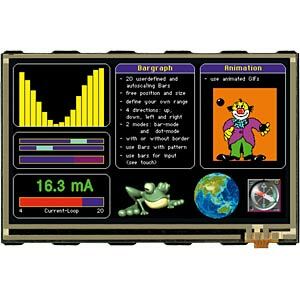 Until now, the control of these displays was only associated with considerable hardware and software work carried out by the user, but with an integrated microcontroller system including touch panel these intelligent displays can now be operated straight away. 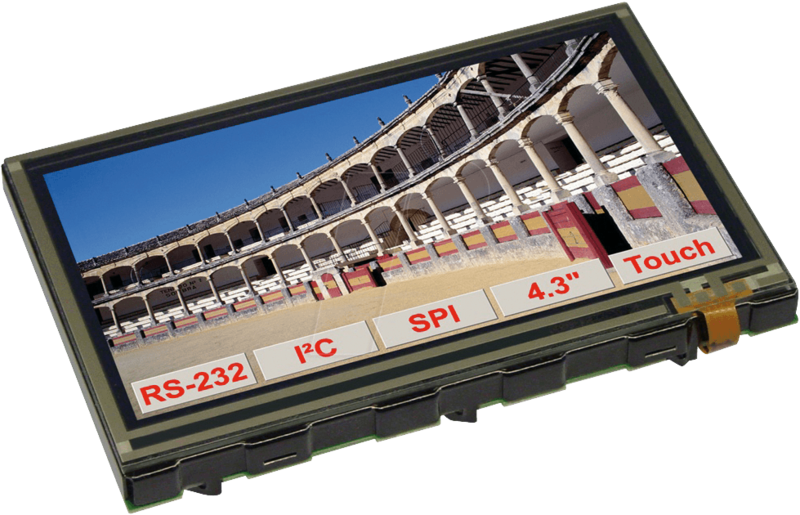 Only a power supply of 5 V/max. 180 mA is required. 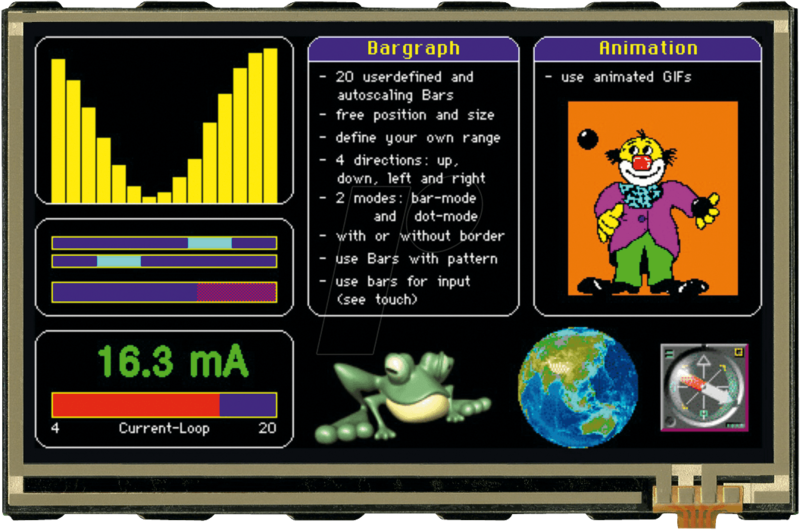 Powerful graphics functions and a wide range of fonts are also already integrated and can be used immediately. 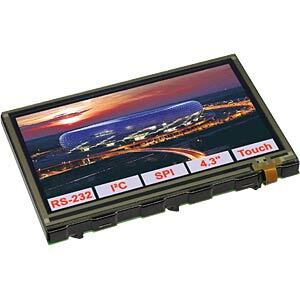 Images can be incorporated into the internal flash memory as JPEG, BMP, TGA and GIF (including animation).